Bean bags have been found to be especially helpful to people with autism, especially children. Several scientific studies and personal observations have led to these comfortable and ergonomic pieces of furniture being used on a regular basis. Beanbags provide kids with autism a gentle, smooth and encompassing sensation that allows them to relax, read, play, eat and sleep comfortably and securely. The best bean bag chair for kids with autism depends on the particular child. However, any chair that they can sink into, and that touches the majority of his or her body is often enough to keep them calm and relaxed. 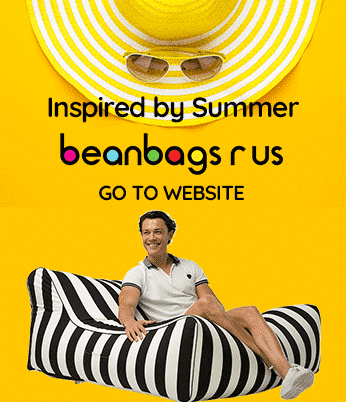 Parents across Australia are starting to recognize how bean bags can help their children, and now a major shopping centre is doing all that it can for them and their kids while out shopping. Northland Shopping Centre, located about 11 kilometres north of Melbourne’s central business district (CBD), has partnered with Amaze, Victoria’s premier autism awareness organization, to establish the Quiet Room. 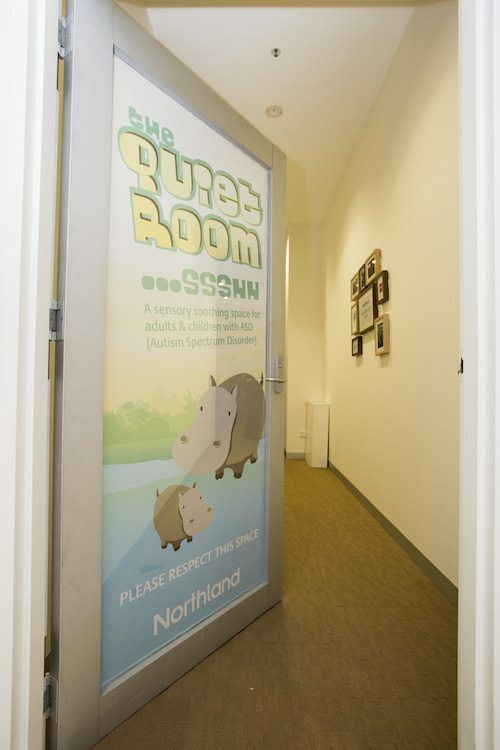 The Quiet Room is like a self-service daycare area where parents of autistic children can bring them to calm their overworked sensory input systems, but it also accommodates adults with the disorder. This soothing space allows those on the autism spectrum and parents who have kids with autism to shop while not having to worry about becoming overstimulated, which can lead to a state of confusion or panic. The Quiet Room at Northland Shopping Centre was designed and constructed entirely by a group of Amaze volunteers who are personally affected by autism spectrum disorder (ASD). At the present, more than 55,000 people in Victoria have autism, and this will give them the chance to have a positive experience while shopping. Many people affected by autism avoid going to busy public places because it is uncomfortable, but the Quiet Room gives them a place nearby where they can get away from the lights, noise and crowds for a while should it be required. The CEO of Amaze, Fiona Sharkie, had a few words to say about the opening of the Quiet Room. “It can be very difficult for parents with children on the spectrum to be able to come out to public places, such as shopping centres, for fear of their child having a meltdown due to too much sensory stimulation, and not just children, adolescents and adults with ASD are often overwhelmed by the sensory experience that is shopping,” said Sharkie. 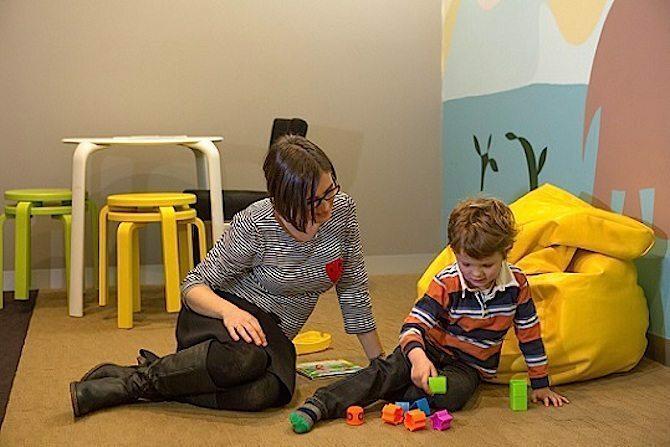 “Northland Shopping Centre, together with our Autism experts, have constructed a specially designed Quiet Room offering individuals space to reduce their anxiety – where they can get access to power, sensory-soothing items, bean bags and other useful materials to help reduce overstimulation,” Sharkie continued. As many as one in every 100 people are affected by ASD, which means that approximately 250,000 Australians battle with the effects of this developmental condition. Many of those who fall on the autism spectrum are impaired in their ability to communicate and interact with others both socially and professionally. Also, they may restrict themselves from engaging in certain behaviours that are considered to be normal by the general population. Repetitive and restricted patterns of behaviour often emerge that limits their activities and affects their range of interests. However, Northland Shopping Centre is now committed to being more accessible to this segment of the population, whether it is the centre’s customers or its staff. The Quiet Room was officially opened to the public during the second week of June 2014 in a ceremony jointly officiated by Sharkie and Gaetano Greco, the Mayor of Darebin. Several volunteers and representatives from local businesses were in attendance. 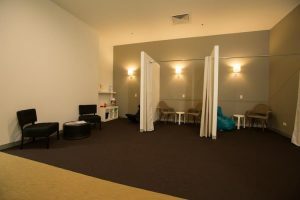 The Quiet Room is located just off the grand hall of the shopping centre and was designed to be as calming as possible. Soft colours were used for all of the surroundings, and the subdued lighting gives the room a soothing ambience. Also to the common area, two curtained cubicles are provided for those who would like some privacy. Furnishings include several versions of what was determined to be the best bean bag chair for kids, soft rocking chairs and toys made specifically for children with ASD.